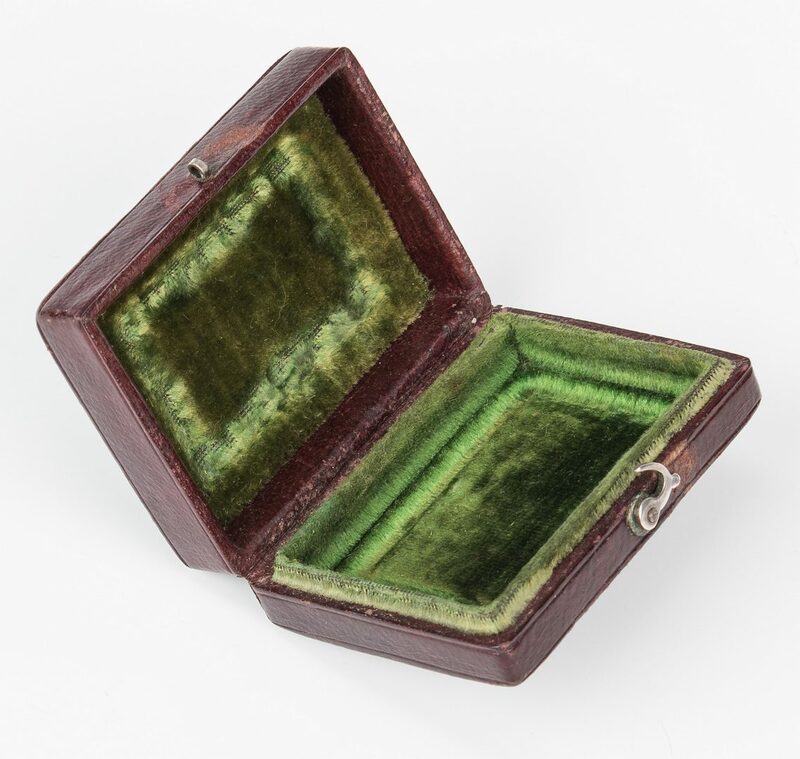 Two (2) small sterling boxes. 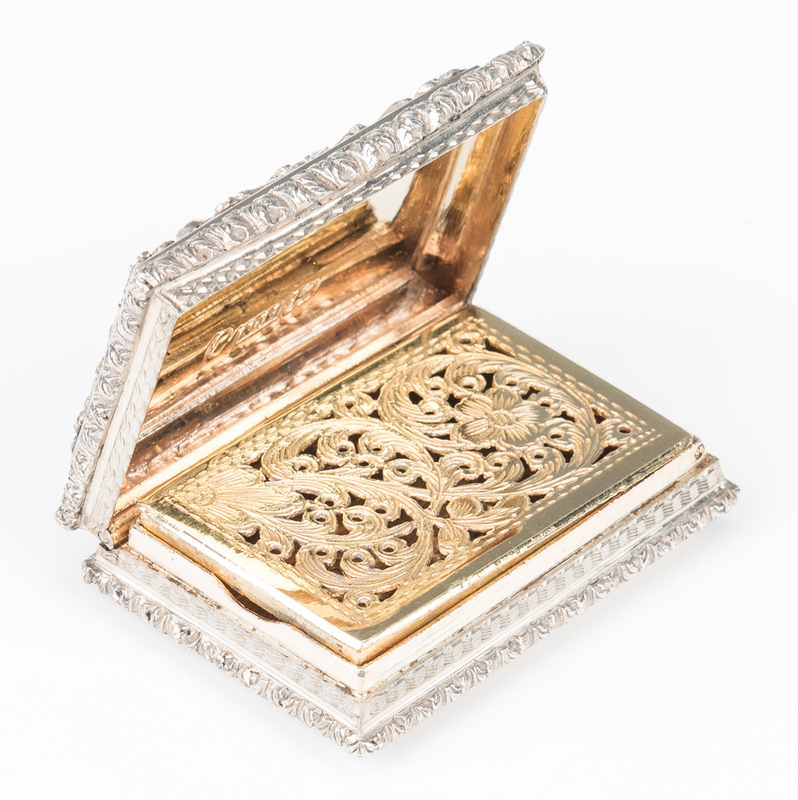 1st item: Victorian sterling silver vinaigrette, engine turned with applied floral border, vacant central monogram reserve, elaborate pierced interior grille, gilded interior. Fully hallmarked for Nathaniel Mills, Birmingham, 1846. 1 1/2" W. Comes with original fitted velvet lined leather case. 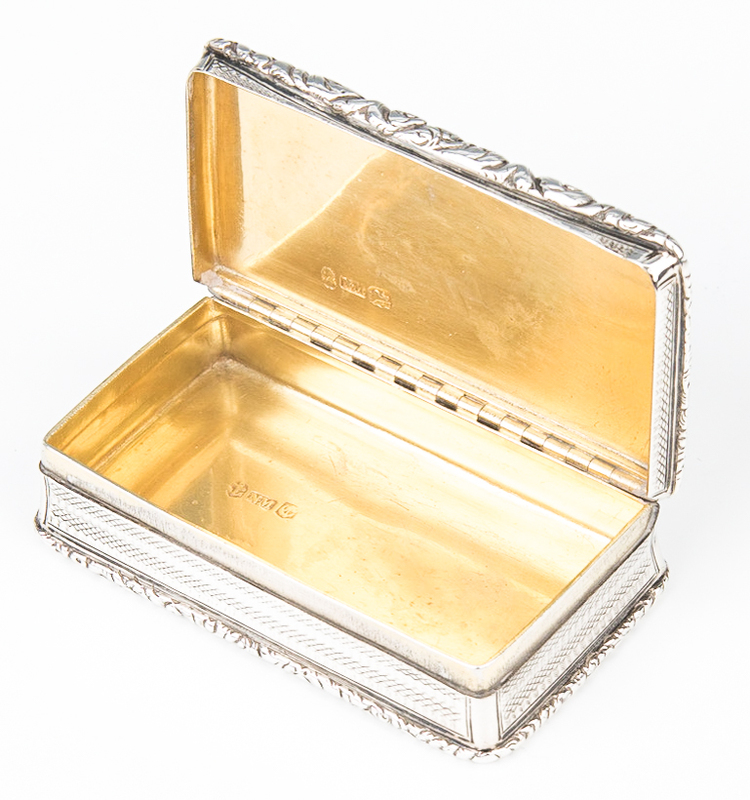 2nd item: George IV sterling silver snuff box with engine turned decoration, foliate edges, vacant central monogram reserve, fully hallmarked for Nathaniel Mills, Birmingham, 1826. Gilded interior. 3" W. 4.19 oz troy combined weight. CONDITION: 1st item: Excellent condition. 2nd item: Overall good condition with some minor wear to exterior.